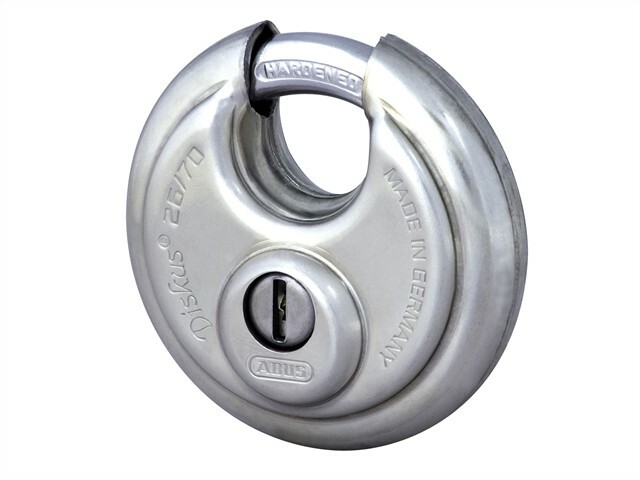 The ABUS 26 Series Diskus® Padlocks has a body made from heavy-duty stainless steel. Fitted with a precision pin tumbler cylinder with anti-pick mushroom pins, a solid lock body which resists drill, pull and manipulation attacks, and a through hardened steel alloy shackle to resist saw attacks. Diskus® 'Deep Weld Technology' offers maximum case strength. Key operated, lock retains key until locked. Key operated, lock retains key until locked.